Julien's Auctions are auctioning off George Harrison's first electric guitar – a Höfner Club 40 which has been privately held for over 50 years – on May 19. Harrison played the small blonde with black body binding single–cutaway hollow body instrument in the early days of The Beatles when they performed around Liverpool, England as The Quarrymen. The group had been transitioning from skiffle – played primarily with acoustic instruments – to rock and roll – played primarily with electric instruments – during that time. John Lennon and George Harrison were the first to acquire electric guitars, which were nearly identical Höfner Club 40 models. 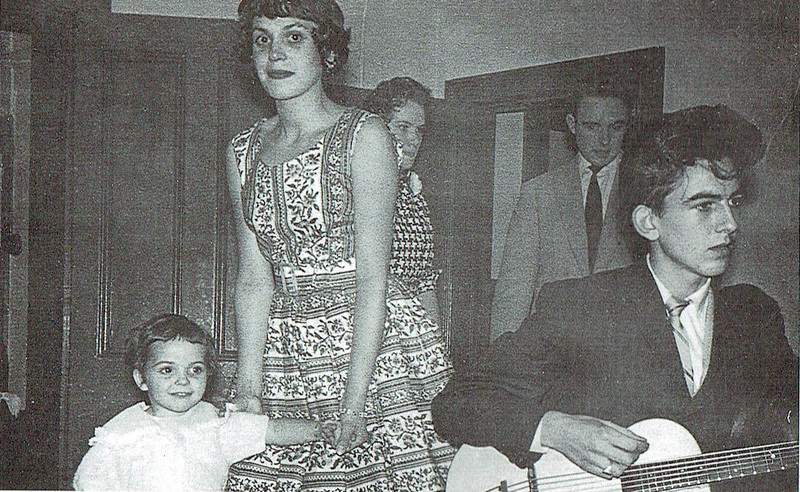 Harrison traded his big Höfner President model acoustic archtop jazz guitar for the Höfner Club 40. 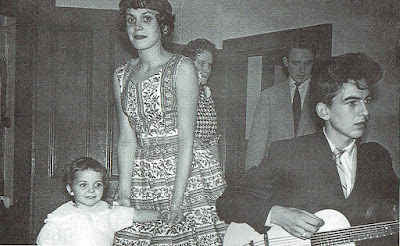 He played the guitar with John Lennon, Paul McCartney and Ken Brown, who were band members at the time, on and off at The Casbah Coffee Club, Mona Best’s social club in the basement of the Best family home in Hayman’s Green, West Derby. The band also participated in Carroll Levis' TV Star Search in October 1959 under the name Johnny and the Moondogs, without Ken Brown and without a drummer. 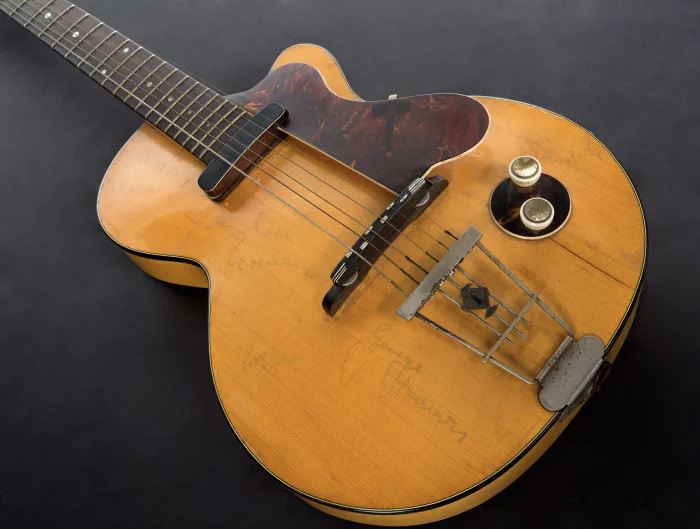 You can read about the history of this guitar over at Liverpudlian Mark Ashworth's excellent blog "There Are Places I Remember: The Beatles' Liverpool Locations". Part two of the story can be found here. A photo of a framed photo stirred up controversy. After a photo of a photo of George playing the guitar appeared, controversy arose when sceptics started to question the authenticity of the photo and suggested that the photograph in question had been tampered with by Photoshop. It was later discovered that the actual original photo was auctioned off by Christie's in their "Printed books, Autograph Letters, Documents, Pop and Sport Memorabilia" auction in Melbourne in March 1996. It also appeared in the auction catalogue, as scanned here by renowned German Beatles author and collector Thorsten Knublauch. Scanned from the 1996 auction catalogue. 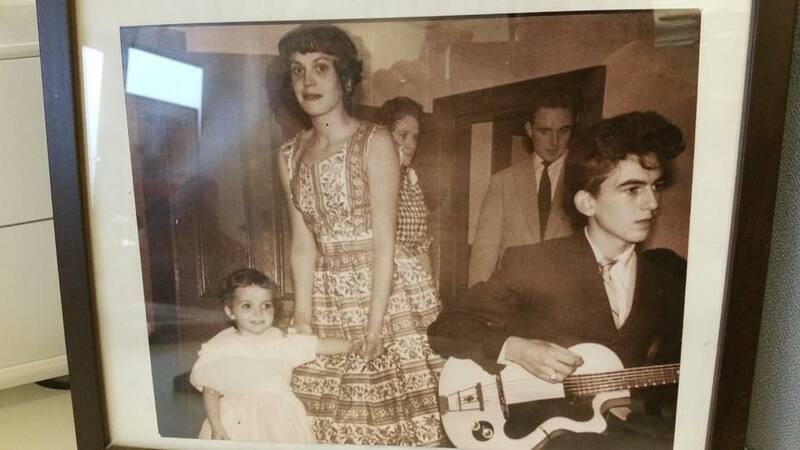 In Christie's catalogue, the photo is described as "Part of a family snapshot, George Harrison is aged 16 and played with Eddie Sedgewick on bass, and a drummer, at the coming of age party of David Minchella, at the Co-Operative Hall, Rice Lane, Liverpool on Saturday 7th November 1959". A week later, George, John and Paul performed in Manchester at a final round of the Star Search competition, but lost out - mainly because they didn't have a drummer. The guitar is expected to fetch $200,000-$300,000 when it sells on 19 May as part of Julien’s Auctions’ Music Icons lot.